When you bring on a public relations firm, one of your first conversations should be about measurement. This helps both parties identify the need for a PR campaign and the overall goal for your organization. In order to establish collaborative goals and a shared vision for your campaign, you need measurable objectives in your communication plan. Axia Public Relations covers 15 mistakes companies make when hiring a PR firm, and not having a measurement conversation is mistake No. 14. It’s important to have the measurement conversation with your PR firm in the initial steps of planning your PR campaign. Unfortunately, some PR agencies don't bring up measurement until the client asks. Generally, the conversation begins when the chief marketing officer feels pressure from the C-suite to provide ROI from the PR campaign. The only way to prove progress and results is by monitoring the increases in the baseline numbers. It’s important to have measurement conversations with your PR firm early in the relationship. When you start tracking measurements early, it’s easy to see what's working and what's not working in your campaign at any time. 1. 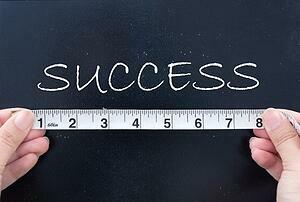 How does your firm measure success for campaigns? 2. What measurement numbers do you need from my company to show if your PR is working? 3. What baseline numbers will you take before the campaign? 4. When will I receive quantitative reports? 5. How will we know when the campaign is successful? At Axia Public Relations, we ask our clients specific questions regarding measurement and what numbers are important to their organization. We ask these questions during the first meetings with our clients, sometimes even before we sign a contract agreement. The responses help us develop SMART objectives for your PR campaign. They also reveal the direction of your campaign, your top priorities, and they let us know what you're already measuring in your company. There is no way to deem a campaign successful unless you’ve established measurable results. Avoid mistake No. 14 when hiring a PR firm and have a measurement conversation in the initial meetings between you and your PR agency. If you realize your current PR agency isn’t measuring its efforts, it’s time to find a better public relations partner. Read Axia’s e-book “How to Fire Your PR Firm” and learn what you should expect from your PR firm and how to have a smooth transition when you decide to move on.